Working with students can be challenging. The Innovative Schools Summit helps educators, administrators, and others working with youth in an educational setting to focus on meeting those challenges with solid strategies. The third and final event in the 2018 Innovative Schools Summit conferences takes place in Las Vegas, July 10-13, 2018. Each of these conferences offers its own agenda and schedule of sessions. Summit attendees have access to all five with a single paid admission. 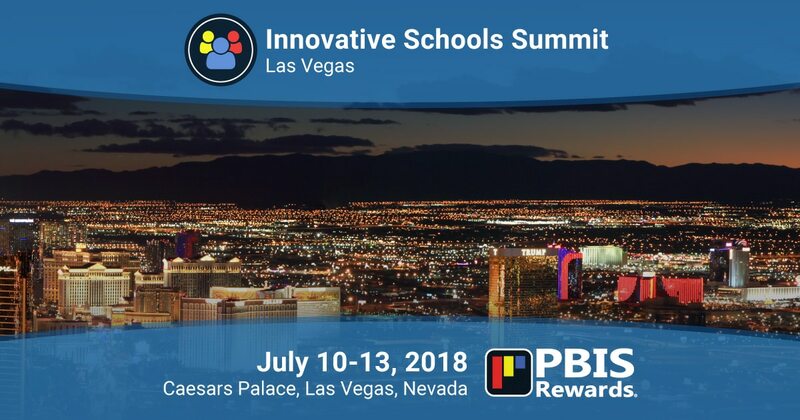 Matt Hart, founder of reACT To Bullying and a member of the PBIS Rewards family, will be presenting two special breakout sessions at the Innovative Schools Summit in Las Vegas. Matt’s experience as an educator and bully prevention speaker makes him uniquely qualified to present these two powerful sessions aimed at connecting character education and bullying. Success With PBIS will focus on schoolwide character education through a PBIS framework. Learn how schools are successfully using PBIS to improve school climate and what those improvements mean for students and staff alike. Matt will also talk about staff and student buy-in, data tracking, and PBIS myths. Attendees will also learn an alternative way to administrate a token economy that doesn’t include paper tickets, tokens, or spreadsheets. In a topic near and dear to his heart, Matt’s Bullying Prevention session will be an interactive session designed to help identify bullying. Those participating in this session will develop three action steps to implement at their school to help combat bullying. Participants will come away from this session with solid strategies to address bullying behaviors and help their students to react to bullying. Improved school climate is possible, and a PBIS framework can make it possible for real, lasting change in a school. In addition to our two informative workshop sessions, PBIS Rewards will be on hand with live demos of our PBIS management system. Come see how PBIS Rewards can simplify and streamline your school’s PBIS program with a paperless token economy! The Innovative Schools Summit in Las Vegas will be held at Caesars Palace. Register for the conference here. Book your room before May 31 to receive a discounted rate. Can’t Make it to the 2018 Innovative Schools Summit in Las Vegas? Not a problem. You can still learn about PBIS Rewards! Request a free, live demo of our PBIS management system by clicking the button below!